The throat chakra is the centre of your self-expression, your thoughts, the words you speak and write, your body language, your emotions and your creativity. You honour your truth and what you stand for. You ask for what you want and feel heard as you listen to what others have to say with an open heart. When out of balance you may find it difficult to express your emotions or talk about them. You may have difficulty expressing your opinion or speaking your truth. 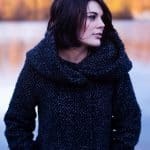 You may be scared to express yourself because you grew up in a family or are in a situation where there is possible physical abuse for speaking out. You may fear expressing your true self because you fear being judged, that your words are harmful or may harm someone else. Do you feel you have a right to express yourself truthfully? Do you feel you can express yourself openly and honestly? Do you feel safe standing up for what you believe in? Do you feel you have to hide the real you from certain people in your life? Do you feel you have nothing worth saying? How do you and your body feel when you are not speaking your truth? 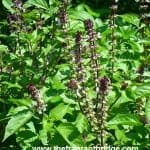 Basil (Ocimum basilicum) is useful where there are issues with control and can help you express yourself through creativity. Bay Laurel (Laurus nobilis) helps overcome the fear of claiming your personal power and awakens your desire to create allowing imaginative ideas and intuition to flourish. Black spruce (Picea mariana) clears energetic blockages and renews your sense of purpose, motivation and inspiration. She encourages forgiveness, self-acceptance and setting healthy boundaries. 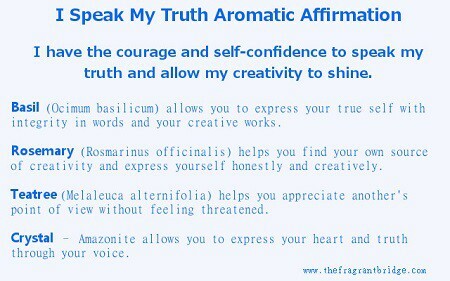 Cedarwood (Cedrus atlantica) gives you the strength and courage to express your truth. 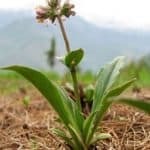 Fragonia (Agonis fragrans) releases hurts and emotional entanglements stemming from unresolved family issues helping to promote inner harmony. Juniper berry (Juniperus communis) is useful if you are feeling unsupported and misunderstood by others and withdraw and/or lose your social confidence. She also helps break up blockages and consolidate your willpower. 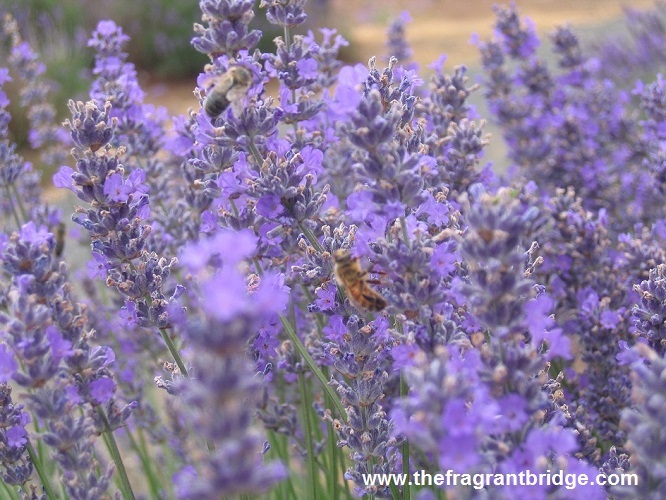 Lavender (Lavendula officinalis) helps ease the frustration and self-consciousness that inhibits self-expression allowing you to fulfil your creative potential. Palmarosa (Cymbopogon martini) helps you to embrace change and move on. Can help if you have a tendency to be clinging, possessive or jealous and find it hard to let go of loved ones. Rose (Rosa damascena) restores a sense of security and well-being especially if you have suffered rejection, loss or abuse. 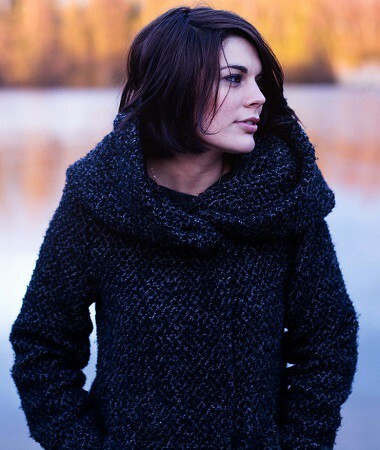 She helps you to forgive others as well as yourself and experience more honest and meaningful relationships. 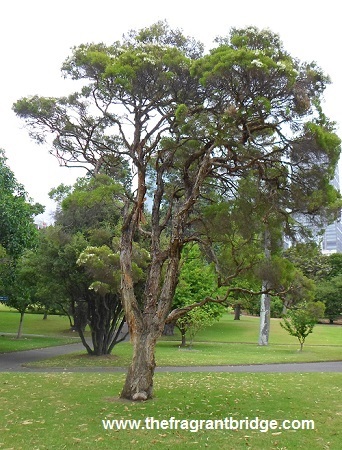 Tea Tree (Melaleuca alternifolia) helps in overcoming feelings of victimization and hopelessness by developing patience and appreciating other points of view without feeling threatened. Choose 1-3 essential oils for a total of 3 drops and add to 10 mls of cold pressed vegetable oil. Anoint the throat area with a few drops of the blend. Use your intention to open, balance, heal and then close the chakra. 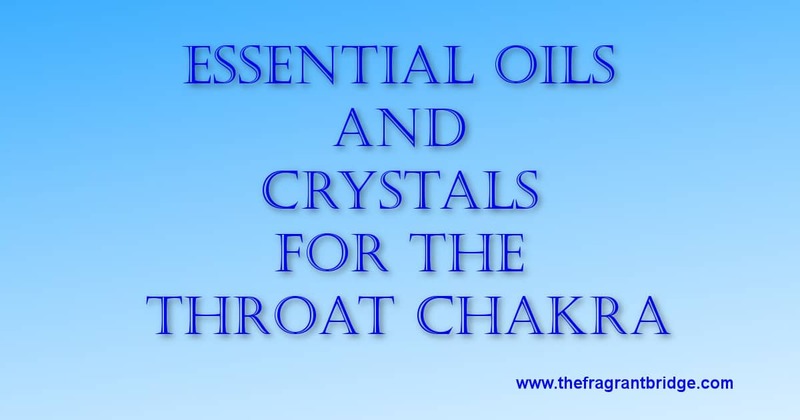 8 blue crystals that may be used to balance the throat chakra. 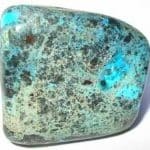 Aquamarine helps you communicate your feelings and emotions with ease. 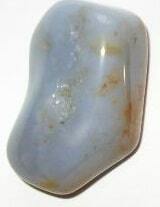 Blue aragonite helps you think and speak compassionately and heal from verbal abuse. It also helps you speak and share your ideas with others when you are feeling fear. 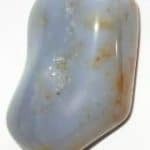 Blue chalcedony helps you stop and think about the impact of your words on others before you speak. Blue fluorite helps you clearly communicate your ideas. 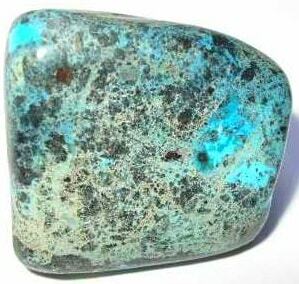 Blue tourmaline (Indicolite) helps you to find the words to express your deep feelings and thoughts. 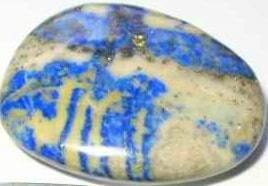 Lapis lazuli helps to release deep stress and repressed anger bringing inner peace and the expression of your true self without compromise. 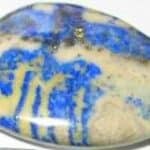 Shattuckite is a stone of truth helping you to see where your thoughts, words, deeds and judgement have caused discord rather than blaming others for the problems in your life. Sodalite enhances self-esteem, self-trust and self-acceptance so that you can speak your truth and stand up for your beliefs. This entry was posted in Essential Oils and tagged blue crystals, creativity, self expression, throat chakra on March 29, 2017 by Carole Hodges. 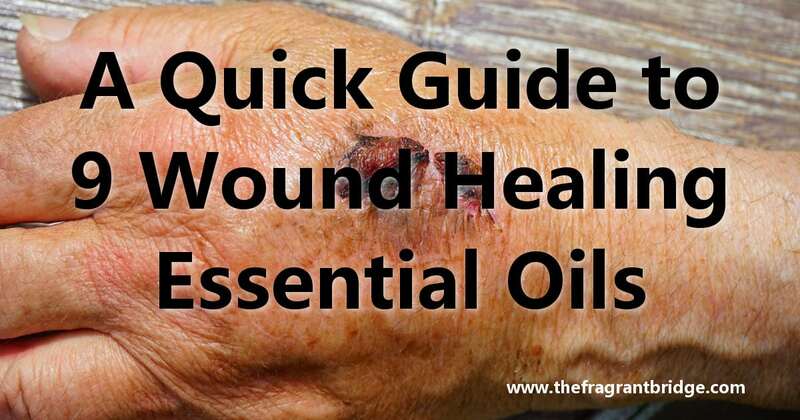 Below is a quick guide to 9 wound healing oils. There are many others but these oils work exceptionally well. For more information on the oils click on the link. 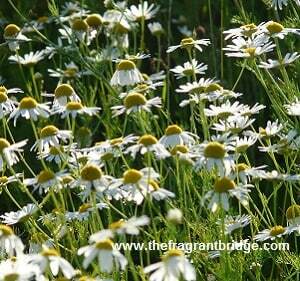 German chamomile is a blue oil with a sweet herbaceous aroma. The oil is anti-inflammatory, bactericidal, cicatrisant (helps with the formation of scar tissue) and vulnerary (stops bleeding in wounds and tissue degeneration) making her an excellent choice for wound healing in both adults and children. Use her for inflammation, boils, abscesses, infected cuts, splinters, muscular pain and sprains. Use her also for eczema, psoriasis and itchy dry skin. German chamomile can be bought in 3% and 5% dilutions in jojoba and applied straight to the wound. If bought full strength dilute in cold pressed vegetable oil before applying to the wound. She can also be used in hot and cold compresses. 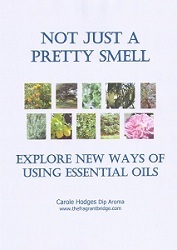 See Guidelines for Diluting Essential Oils for more information. Bergamot is well known for her anti-anxiety effect but she is also a wound healer. Antiseptic, cicatrisant, febrifuge (reduces high body temperature), vulnerary. 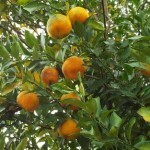 Use bergamot for cold sores, shingles, wounds and acne. Bergamot is photo sensitive and should only be used in dilutions of less than 1%. Avoid exposing the skin to sunlight for 24 hours. 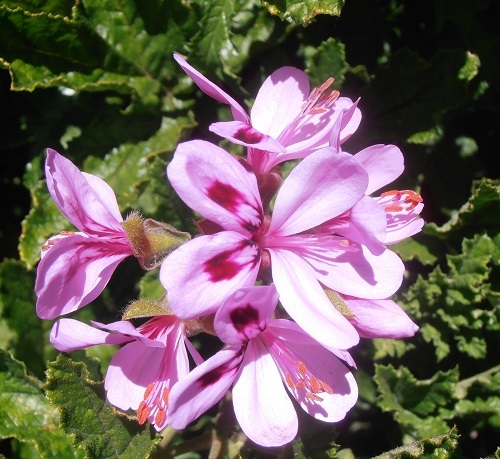 Geranium essential oil is distilled from the leaves and flowers. She is not the red geranium you see growing in most gardens being much shorter and bushier. The oil is antiseptic, cicatrisant, haemostatic (stops bleeding), styptic (stops external bleeding) and vulnerary. 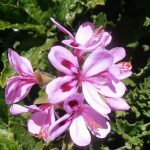 Geranium is a good oil to use for burns, wounds, skin abrasions, dry skin, eczema, psoriasis, acne, athlete’s foot and ulcers. 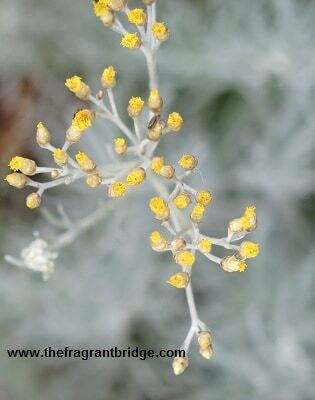 Helichrysum is also known as everlasting and immortelle. She is an expensive oil but well known for her ability to heal bruising and may even stop it if applied fast enough. The flowering tops are steam distilled and the oil is anti-inflammatory, antiseptic, cicatrisant and fungicidal (destroys fungal infections). Use her to help reduce old scars, eczema, dermatitis and itchy skin rashes. Lavender has been called first aid in a bottle. She is a very gentle oil and safe to use on children. There are many different lavenders so please ensure you get Lavendula angustifolia. 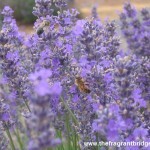 Lavender is analgesic, antiseptic, cicatrisant, rubefacient (increases blood flow and warming) and vulnerary. Use her for wounds, ulcers, cuts, scratches, minor burns, dermatitis, eczema, psoriasis, boils and acne, sunburn, insect bites, muscular aches and pains. Use her diluted in cold pressed vegetable oil, as a compress or mist spray. 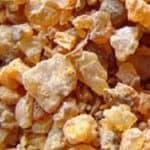 Myrrh is steam distilled from a resin. 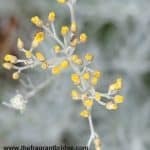 She has been used since ancient times for wound healing although not as an essential oil. She is anti-inflammatory, antiseptic, cicatrisant, fungicidal and vulnerary. Use myrrh for chronic and slow healing wounds and ulcers, weepy eczema and athlete’s foot. She can also be used to heal wounds of an emotional nature. For mouth and gum infections and ulcers add a drop of myrrh to a glass of water, swish around the mouth and spit out. You can also use myrrh tincture. 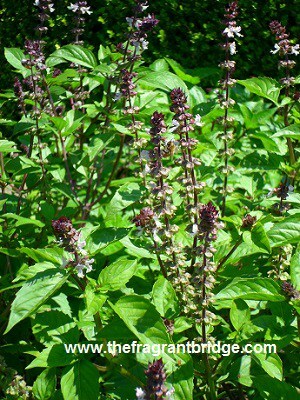 Patchouli was used to protect cashmere shawls from moths in Victorian times. She is antiseptic, cicatrisant, cytophylactic (encourages the growth of skin cells), febrifuge (reduces high body temperatures), fungicidal and an insecticide. 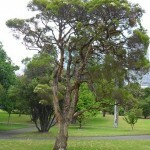 Tea tree is well known for her ability to clean and heal wounds. She is antiseptic, cicatrisant, fungicidal and an insecticide. Use tea tree for wounds, skin abrasions, minor burns, weeping ulcers, nail infections, athlete’s foot, mouth ulcers (see myrrh above), infected rashes and muscular aches and pains. 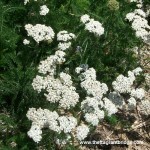 Yarrow like German chamomile is a blue oil and has a similar aroma. 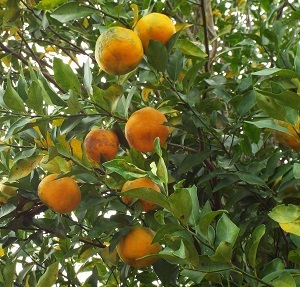 She is also distilled from the leaves and flowering tops. Yarrow is anti-inflammatory, antiseptic, cicatrisant and haemostatic. Use for wounds, open sores and eczema. This entry was posted in Essential Oils and tagged wound healing on March 15, 2017 by Carole Hodges. Aroma: Warm, earthy, peaty, bittersweet, woody. Colour: Pale to deep amber, blue to green. Although most authors write that spikenard is pale to deep amber in colour, Meg Shehad states that true spikenard is blue to green in colour and a reconstituted oil made from patchouli oil called spikenard is pale to deep amber. 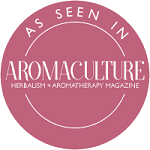 Plant: Aromatic herb that grows to 1 metre with long spoon like leaves and small rosy, pale pink or blue flowers and a fragrant rhizome root. Main Growing Areas: Himalayan mountains, Nepal, northern India. Major Constituents: borynl acetate, isobornyl valerianate, borneol, terpineol, patchouol, eugenol. Interesting snippets: Early Egyptian, Hebrew and Hindu civilizations used her for both ritual and medicinal purposes. 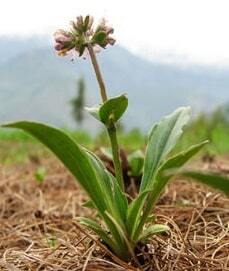 Spikenard is the oil Mary Magdalene used to anoint the feet of Jesus. She was also used as a consecrated oil for monarchs and high initiates. Part of Plant used / Extraction: Rhizome and roots, steam distillation. Therapeutic actions: Antispasmodic so good for nausea, constipation, intestinal colic and helpful for haemorrhoids and varicose veins. Nourishes and soothes the skin easing the symptoms of dermatitis and psoriasis. Wound healing. Emotional and Spiritual: Nervous tension, anxiety, insomnia and stress related symptoms. She can instil a profound sense of peace. Gabriel Mojay writes that it works to replace despondency and resentment with acceptance and compassion. 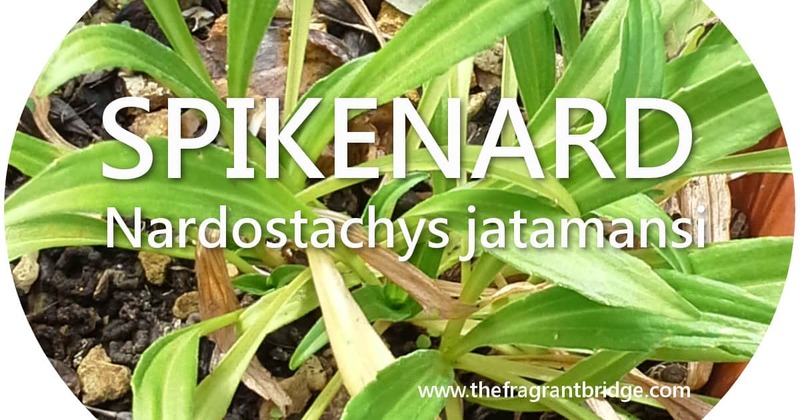 Nourishing the hope of both heart and soul, spikenard allows us to “surrender” and through its serenity and earthy humility, conveys the power of devotion to one’s chosen path. Valerie Ann Worwood writes that spikenard is a fragrance of forgiveness offered with love. Its purpose is to release the past from the shackles of our own making, those which relentlessly bind us to repeating actions which affect the freedom of the spirit. This entry was posted in Essential Oils and tagged dermatitis, jatamansi, nervous anxiety, spikenard, stress, wound healing on March 1, 2017 by Carole Hodges.